Are you planning a birthday party in the Metro Detroit area? We offer a couple of options, depending on your group size and guest’s age. Below is your guide to the ultimate birthday party at TreeRunner West Bloomfield! 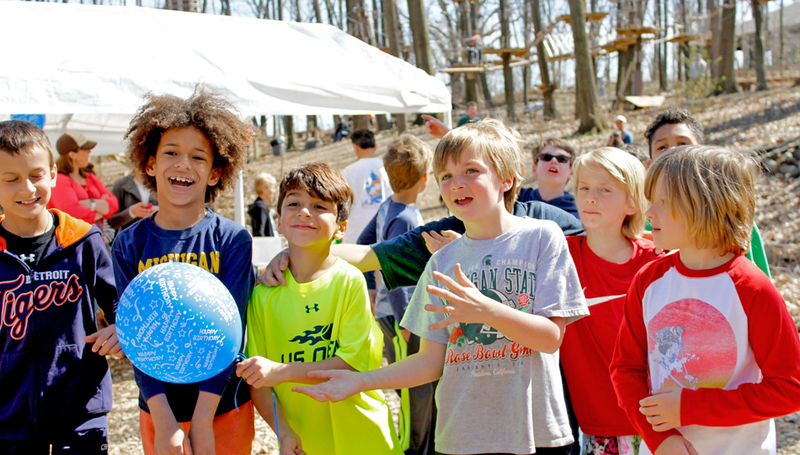 You will create great memories when you celebrate your Birthday Party at TreeRunner Adventure Park in West Bloomfield! It is not just the climbing that brings smiles at TreeRunner! Birthday parties at TreeRunner are not just for kids. Grab your friends and family and celebrate with a whole lot of fun at our aerial park for your birthday! All ages are welcome to come and celebrate a birthday in our trees (grandparents included)! Approximately a three hour experience including check in, harness, a safety briefing, two hours of climbing. A goody bag for each guest filled with fun park swag and a birthday t-shirt for the Guest of Honor. Ask about complimentary picnic table reservations for cake, presents, pizza and more! Food and drinks are not included in any of our packages, but parties are welcome to bring their own food and decorations to the park. Please note that balloons, glass containers, and alcohol are not permitted. We can also provide a list of local options for pizza and other food deliveries. Five and six-year-old climbers must be accompanied by a paid adult (while climbing) at all times on our specially designated purple trails. Please note that there are age restrictions on the other aerial trails. Depending on the climber’s age, they may not have access to certain trails without an adult climber to accompany them. The weekday rate (Mon-Thurs) is $29 per person and the weekend rate (Fri-Sun) is $33 per person. Minimum of 8 climbers required. We offer an exciting birthday package for the Junior Park, designed for ages four through seven. Do your children have a natural affinity for the outdoors? Then get back to nature’s basics and tackle the obstacles in the trees. Sit back, relax, and enjoy the party while watching the little ones conquer the trees on their own! Gift bag: Each guest will receive a goody bag with park swag. A Birthday T-shirt will be given to the Guest of Honor! Pricing: $200 for up to eight climbers, $25 for each additional climber. We require booking reservations at least 2-weeks in advance for all birthday party packages. Our birthday party packages are now very popular! For the greatest selection of available dates and times, reserve now! A booking fee applies to each ticket. For more information, contact our business office (248) 419-1550 or email us at WestBloomfield@TreeRunnerParks.com! 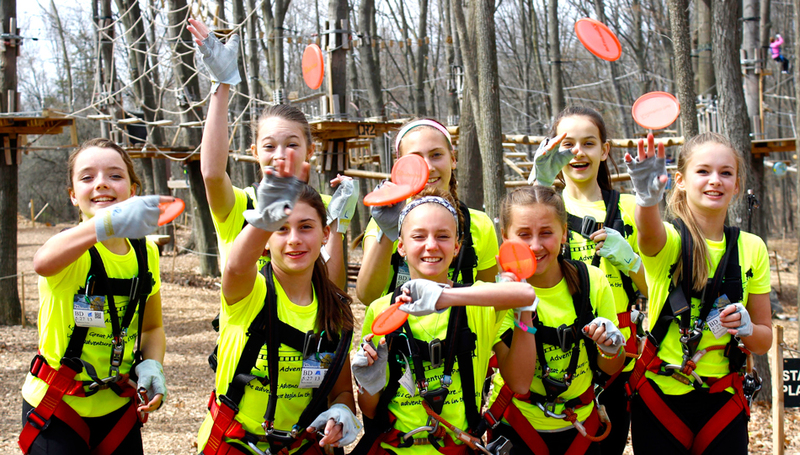 Call us today or fill out the form below to start planning your next Birthday party at TreeRunner West Bloomfield Adventure Park!